Darn, I haven't canned a thing this year! 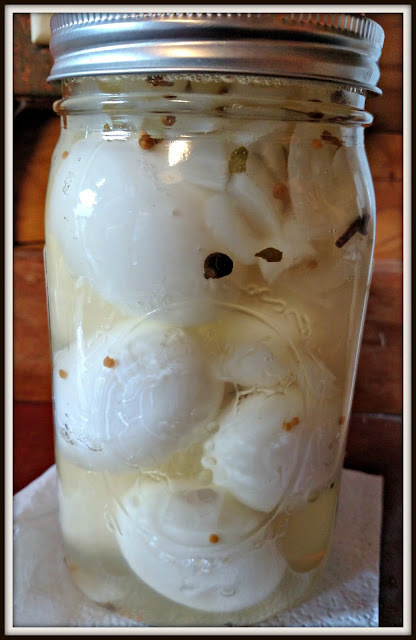 I never been a fan of pickled eggs but will be interested to see what you think of your own. We had a poor tomato crop this year, just too much rain and the weeds also got out of control. I wasn't able to get the tomato rows mounded up this year which seems to help keep the plants from getting too wet. Your chunky salsa looks good, maybe the eggs will be a hit with the boys. I've seen pickled eggs in stores, but never tried them. I hope y'all like them though. The salsa looks so pretty! I hope you let us know how the pickled eggs turned out. I have never tried one either! The salsa looks delicious! Would love to know how you liked the eggs. I would try one! Pickled eggs are popular here and just about everybody likes them that I know of. I hope your family enjoys them as they are a great source of protein. I have vast quantities of canned food stored, but I confess a certain disappointment that it's all purchased. The jars of food, grown on your own land and preserved by your own hands, have a psychological power that mere cases of cans will never have. Pickled eggs?! YES! They are almost a staple around here...but we call them red beet eggs. I hard boil the eggs, peel them,and put them into a container with pickled beets (homegrown or store bought...either way). They are some of my favorites, and often the first to disappear at potluck dinners! I hope you enjoy yours! No, I have not. But I totally agree with your humorous comment on them. Yes, way too creepy to eat. They LOOK like they would kill you! I would love a full report on your tasting, plus pictures of the inside. I don't think I have ever seen the inside of one. My grandma used to soak hard boiled eggs in beet juice and make them a pretty pink. But that would be soaked eggs, not pickled. If you eat a tomato that has blight, would you get really sick? ja het is prima te eten en ook goed om te verwerken. Bravo, this is something I enjoy, made by the hands of someone else so far! I've yet to can myself! We used to get a pickled egg at a bar when I was in college. Uh...prepare for major gaseous fumes...if you know what I mean. Never tried pickled eggs so await with interest your first tasting! Never had a pickled egg...but I'll try anything once! Let me know how the turn out. I agree with your assessment on them belonging on a shelf with formaldehyde filled jars of creepy things. Confident YOURS will turn out splendid. 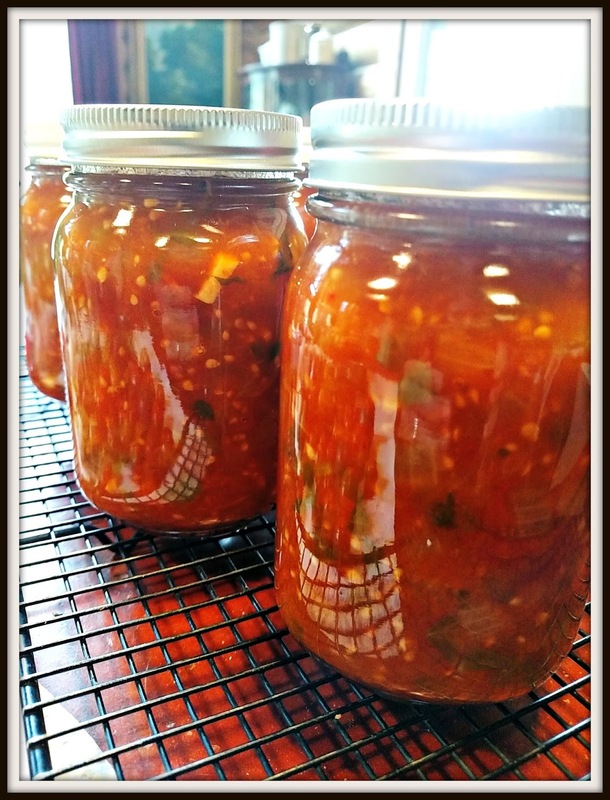 We canned tomato sauce, then picked peppers. We need to do tomatoes once again, and jam. I'm waiting until it gets colder out. Then I will warm my house up. I think pickled eggs are yummy! I sure haven't. I don't even think I've heard of a picked egg until now. Maybe your family will love them. double headed snakes and octopus brain? Oh my :)...but it's great that you have them all preserved, not wasted.